I have come to understand something recently in the research for my next book. I had a realization about the indwelling of the Holy Spirit. Last year I made a mistake while I argued with someone about the reality of what it was to be filled with the Holy Spirit—a mistake that has since grieved my spirit. We each argued that we had been filled with the Holy Spirit, and eventually spat that the other had not. I had very little theological understanding of it at the time; all I knew was that I had been filled with the Holy Spirit, and that I experienced fresh infillings of the Spirit over the years, and I knew my relationship with Him was real. What I didn’t understand is how much more intimate the Holy Spirit is with us even when there is no outward sign for others to see. Recently, I was listening to a teaching on the way in which we receive the spirit of adoption and each become a child of God. After months of seeking (and receiving contradictory, nonsense answers) I was astonished by the reality of our adoption. I’ll begin by saying this: there is tension between Christians (of different denominations and within denominations) because there is tension in scripture. Tension in scripture is normal. There is a very real tension in scripture that we use to back our positions and beliefs and argue one Christian against another. The reality is that this tension is merely a result of our limited human understanding. There is far more to God than we can even begin to fathom or are comfortable with facing in our finite capacity. One of those things is about the infilling of the Holy Spirit. So the Lord puts His Holy Spirit into our hearts. When we hear the good news and we believe, when we have faith in Him (truly, to have faith, not just ‘to believe’. Demons believe in God, and the know the reality of who He is and shake in absolute terror, but they do not have faith in Him) then He pours His Spirit into our hearts. Simply put, if you have faith in God, you have the Holy Spirit—if you don’t, then you don’t. Perhaps that is oversimplifying. Suffice it to say that there is no place for theology that says someone can believe in Jesus but not have the Holy Spirit. It is not possible for us to have faith in Jesus Christ as Lord and Savior without the Holy Spirit. We cannot have the revelation that He is Lord and Savior unless it is revealed to us by Him! It is impossible for us to come to this conclusion without Him. This is the part where Pentecostals become incensed at my words, but: you cannot believe in Jesus without having the Holy Spirit within you; and you can have faith, and have a personal relationship with God and be saved without having to speak in tongues. (However, I am no way saying that one ought not speak in tongues. It is a precious gift the Holy Spirit gives us). Now there might be some confusion… Some of you may be wondering about the time that someone prayed over you and you felt the Holy Spirit, or you went to a conference and you were overcome by the power of God. Receiving a fresh infilling is not the same thing as initially receiving the Holy Spirit. People experience fresh infillings of the Holy Spirit all the time! God loves to refresh His people. (Think of it as needing to hydrate. We need to be refreshed by Him.) Experiencing Him is glorious, but the Holy Spirit lives and dwells in all believers. He lives within us because of the faithfulness of Christ. God’s Spirit does not ‘come and go’ any longer, as in the Old Testament (in which He would come upon people when He was pleased with them, and depart from them when He was displeased). Because of Christ, the Holy Spirit remains with us, and He dwells in us and will not leave us. The Holy Spirit comes into our hearts so that we will have a relationship with God the Father. His purpose is to draw us (or push us) into relationship with God the Father so we will cry out to Him, Abba! Father! (Of course the Holy Spirit does more than that. 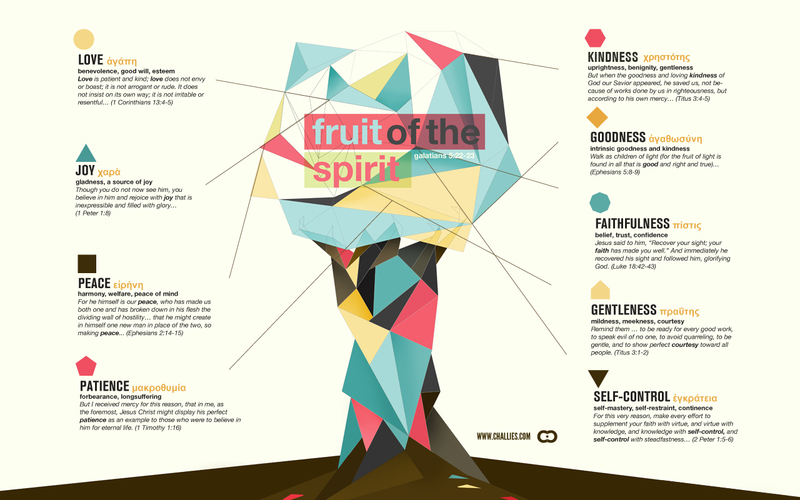 The fruits of the Spirit are another result of the indwelling Spirit). I made the mistake last year of thinking that someone had not been filled with the Holy Spirit yet (as though speaking in tongues, prophesying or operating in the gifts of the Spirit were the only proof thereof), and have been deeply convicted of my accusations. Those are indeed an outward sign. But the sheer fact that someone can cry out to God, that they can cry Abba! Father! The fact that they can pour their hearts out before the Lord—and of course, first and foremost, the fact that they recognize Jesus Christ as King, Lord and Savior is evidence in itself that they have been filled with the Holy Spirit, that He does truly dwell within them. I am truly humbled by this realization, and my heart has been heavy over my words said in error. I hope you will not make the same mistake, but that you will recognize the work of the Holy Spirit in other people's lives, no matter what it looks like now. I am also brilliantly overwhelmed with joy at this revelation, and knowing that He is at work in the lives of people that I love and longed to see transformed. Now I understand that He was doing beautiful things in their lives all along, and that they were indeed filled with the Holy Spirit.